Starting at $1! Wyndham Grand Desert - Las Vegas, Nevada - February 3, 2019 - Bid on a 7 Night Stay in a 1 Bedroom Suite with Mini Kitchen! 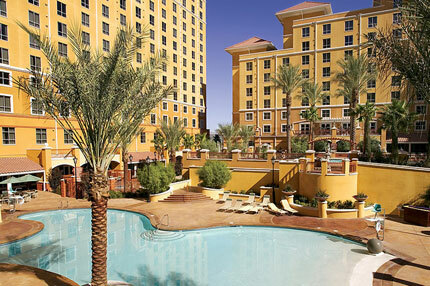 With 787 suites in three beautiful towers, Wyndham Grand Desert almost feels like a small town itself. Every suite is comfortable, relaxing and richly decorated in an elegant Mediterranean style. Your vacation home at Wyndham Grand Desert offers a mini kitchen with a microwave oven, coffee and tea maker, toaster, refrigerator and flatware. Your 1 BEDROOM SUITE comes with a MINI Kitchen (Mini Kitchen- coffee and tea maker, microwave, refrigerator, toaster, flatware) and will accommodate up to 4 people.